Caulking or rolled-in head formed using single tool, developed for shock absorvers, gas springs and transmission housing of washing machines. Special pupose machine as per customer’s requirement manufactured for carrying out caulking / rolled-in-head on various assemblies. This machine was specially developed for 80mm diameter rolled-in /caulking operation of transmission housing or washing machine. 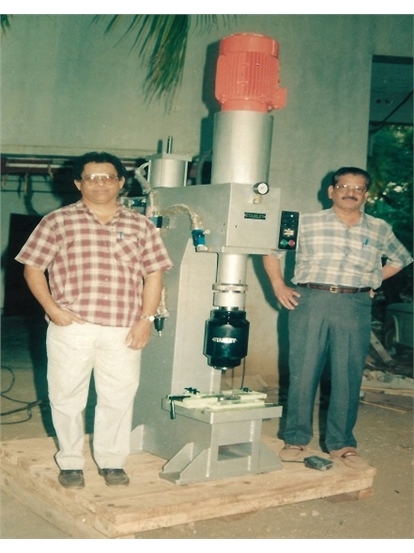 The inset photo of machine near 6’+ feet tall standing man.